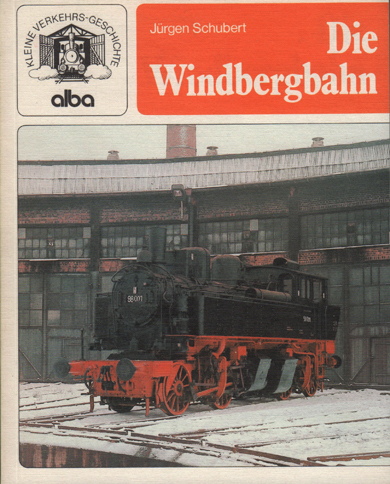 The loco was conceived to handle the increasing traffic on the arduous Windberg railway. Steep inclines and sharp curves were common and the Meyer design seemed the weapon of choice to attack that challenge. Originally designated as Class I TV the Saxon State Sailways ordered 18 members between 1910 and 1914. Word has it they were soon nicknamed Kreuzspinne (Cross Spider) because of it mesmerising forward grabbing front motion. But honestly the railfanning world makes up its own stories, so I can't tell of that is true. Three were lost in WWI. The remaining 15 went to the newly formed Deutsche Reichsbahn as BR 98 001-015. In 1940 one privately held nearly identical locomotive joined this fleet replacing the already withdrawn 98 015 under the same number. 12 members of the class survived WWII. They served ever on the same Windberg line until withdrawal in 1967. 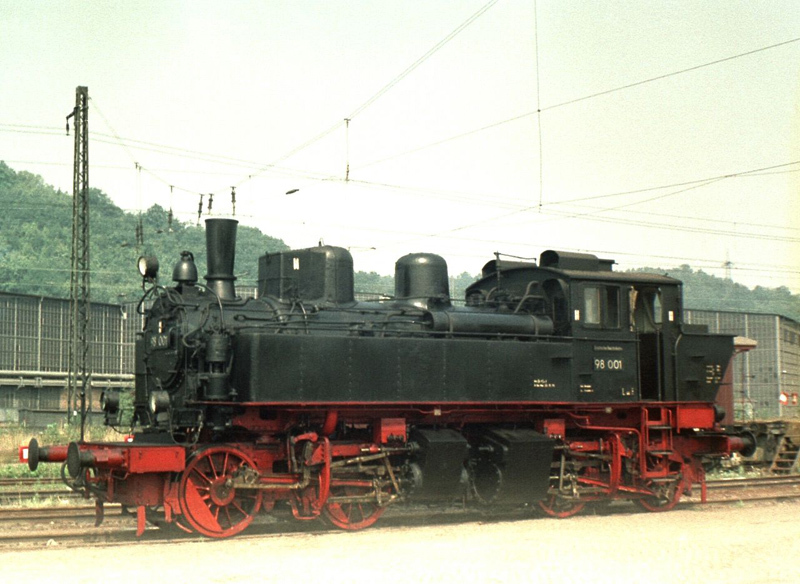 One member survived, 98 001 and currently located in the Industry Museum in Chemnitz. I "won" this Rivarossi model at an eBay auction for a modest €75. Although	dating from the '70s this model showed no damage. The tire treads are a little dirty but not worn, so it must have seen some action. There is minor wear on the rear dome and on the front corner of the right hand water tank. Generally it is in excellent condition. Over the years of its production, 1971several different versions were brought to the market. I chose the version with black handrails and handrail knobs. The model shows its age. It has molded-on pipes and conduits. The valve gear and motion is clearly outdated. The giant motor fills the driver's cab. I suspect this that the entire model is accurate in its depiction in terms of size, I think Rivarossi oversized the loco to make it fit around a standard motor. I will look into that. But it is a very affordable model and a nice candidate for an upgrade project. In its general looks it still makes a good impression. Two views typical of the Meyer. Contrary to the Mallet, the Meyer is fully articulated, it sits on two radially adjustable trucks. On a Mallet only the leading truck can swivel and the rear truck is fixed in the frame. The cylinders of a Meyer usually face each other to keep steam pipes as short as possible. This Meyer is a compound engine: the rear engine is fed with fresh steam and after use led to the front engine where it expands further. The front low pressure cylinders are significantly larger to obtain approximately the same power on a lower pressure. Some wear by movement in the plastic inner liner of the box. The notorious clumpy Rivarossi motor. I may replace that by a small Faulhaber one day. Some paint damage on the corners of the water tank (the red is chipped off). It turns up on the photos, but it is hardly visible with the naked eye. The locos are definitely both in 1:87 showing the Meyer to be seriously bigger. A drawing comparison shows that the 98.0 Meyer really is bigger than the 98.7 Mallet but that the Rivarossi really is oversized. The Meyer joining its four Bavarian Mallet brothers in my display.